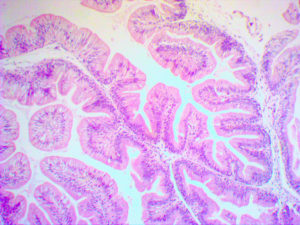 Aldehyde fuchsin stains certain nonionic proteins and peptides in unoxidized cells and tissues. These substances include granules of pancreatic islet B cells, elastic fibers and hepatitis B surface antigen. Saffron Scientific Histology Services provides high-quality H&E’s for research and diagnostic interpretation. Saffron Scientific Histology Services offers a variety of special stains for paraffin sections. Welcome to Saffron Scientific Histology Services. 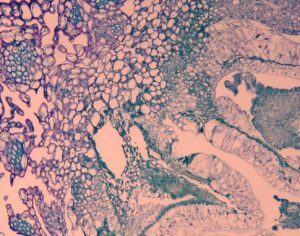 Histology is the preparation of biological tissue specimens which allows for microscopic examination of tissue structure and cells. It can be used to confirm a diagnosis, gather research data, or evaluate a disease process. It is an integral part of many scientific investigation processes. Click here to download “SaffronPresWeb”, a brief PowerPoint presentation about Histology technique. Saffron Scientific Histology Services provides services tailored to the unique needs of research, veterinary, forensic, and industrial clients. We provide high quality slides and images with fast turnaround times. We customize our services to clients needs and their specific research and diagnostic goals. No request is too large or too small. Saffron Scientific Histology Services is experienced in animal, human and plant histological specimens from industrial, diagnostic, research, and government projects. Our services include processing for both paraffin and frozen histology specimens. Saffron Scientific Histology Services has the capability to gross/prosect, fix, process, embed, section, stain, and microscopically photograph your specimens. Our laboratory can also provide you with decalcification, agarose embedded cell suspension, immunohistochemistry and many special stains. We cut serial sections for morphometric and fertility studies. We are skilled in routine 5-10u cryomicrotomy and experienced in sectioning and staining of free floating 20-40u brain tissue. Our necropsy/veterinary diagnostic service is supervised by a board certified veterinary pathologist. Our laboratory is owner operated with all individuals either HTL (ASCP) certified or eligible. Our slide specimens have been reproduced in journal articles, covers, and textbook chapters. We have participated in countless research projects analyzing rodent, reptile/amphibian, avian, aquatics, mammal, non-human primate, and plant specimens. Saffron Scientific Histology Services has the expertise and experience to investigate, create, and implement, new ideas and procedures to meet our client’s needs. See our Services page for our current pricing lists.